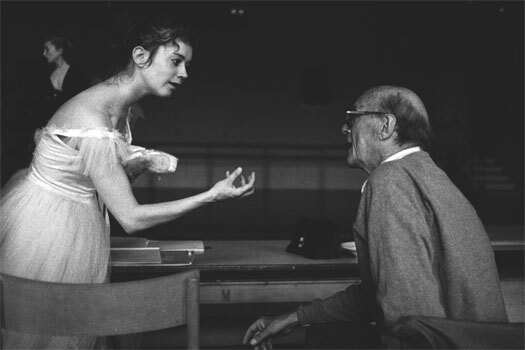 The series of photographs reproduced here, with the kind permission of David Amzallag, theatre photographer at Copenhagen, were taken at a rehearsal one year before the death of Hans Brenaa. 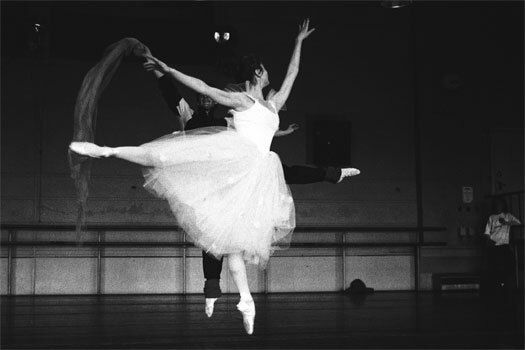 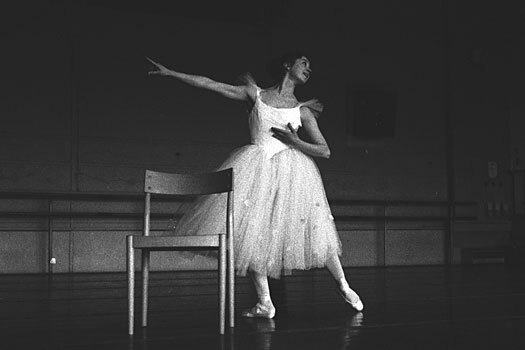 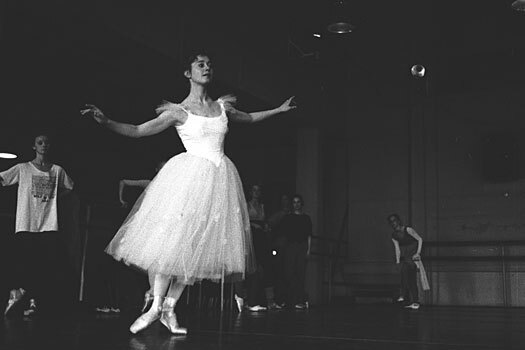 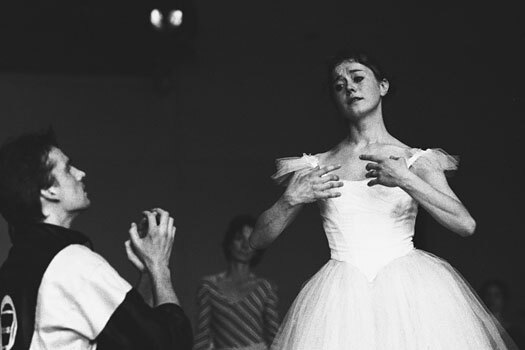 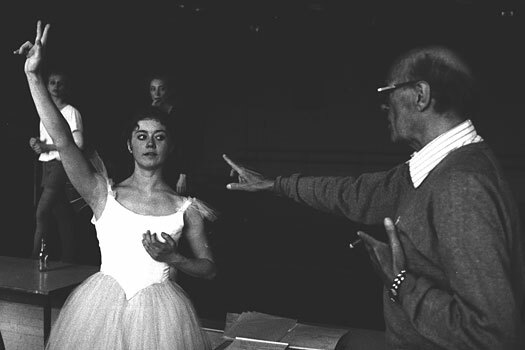 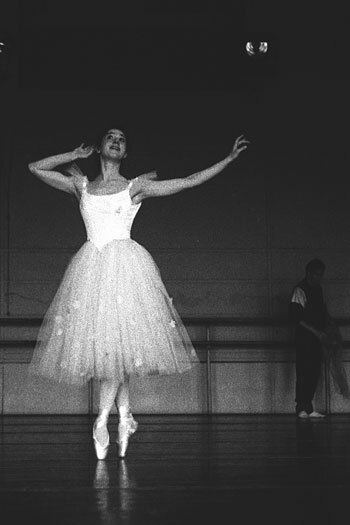 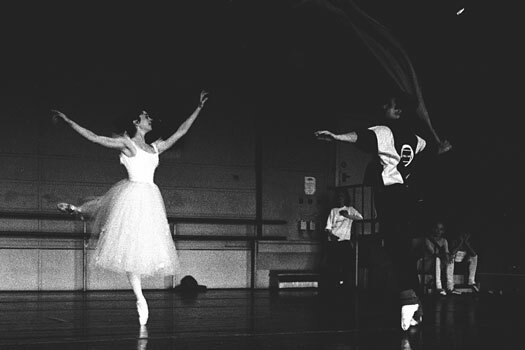 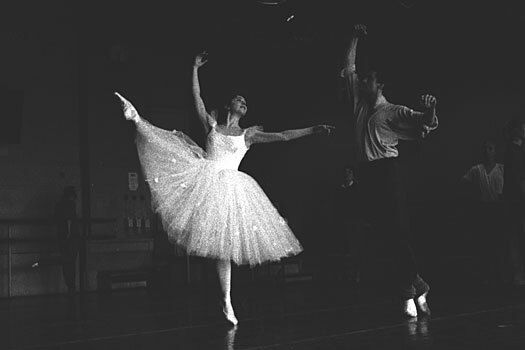 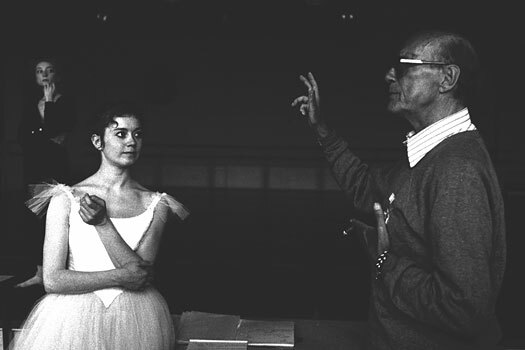 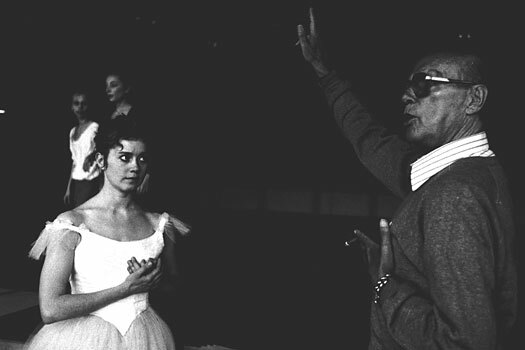 The strange and unusual forms produced by the Sylphide, Lis Jeppesen, who is now a professor in the Royal Theatre, are worth very careful study. 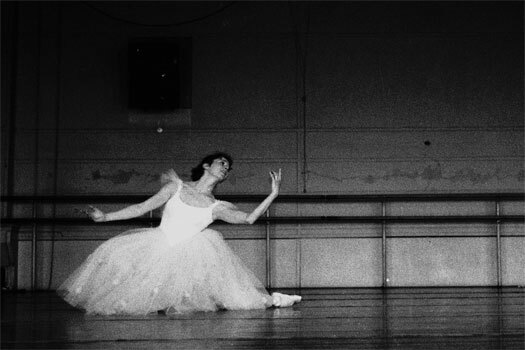 They illustrate the merging in one person, of the apparently-strict line between the severe classicism that Bournonville stood for, and the sfumato, in-between forms that one associates with Fokine, like the relation between Piero della Francesca, and Leonardo, at thirty years’ distance from one another. 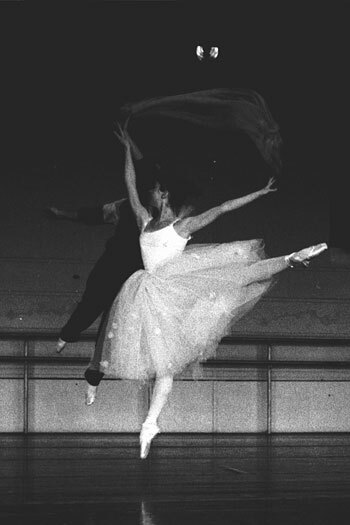 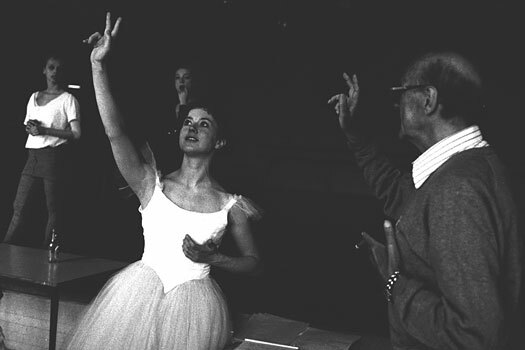 These forms cannot be imitated by another dancer trying to "look like" Lis Jeppesen. 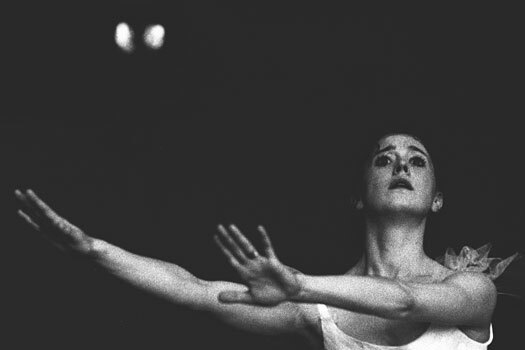 She was, and is, a genius, who could get down to the very core of form, the generating-principle behind the emergence of all shape, and take it through from a clear and affirmative statement, to its melting into seeming nothingness and re-emerging in another puzzling kernel of form.